Harsh K. Trivedi, M.D., M.B.A., is the President and Chief Executive Officer of Sheppard Pratt Health System, the largest private, non-profit provider of mental health, substance use, special education, and social support services in the country. He is also Clinical Professor of Psychiatry at the University of Maryland School of Medicine and Editor of Psychiatric Clinics of North America. 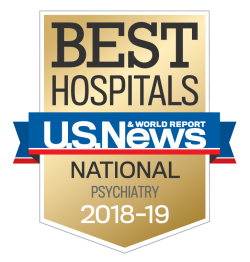 Previously, Dr. Trivedi served as Chief Executive Officer of Vanderbilt Psychiatric Hospital and Vice Chair for Clinical Affairs in the Vanderbilt University Department of Psychiatry. A graduate of the Mount Sinai School of Medicine, Dr. Trivedi completed his general psychiatry residency at the Zucker Hillside Hospital/Albert Einstein College of Medicine. He completed his child and adolescent psychiatry training at Children's Hospital Boston/Harvard Medical School. Dr. Trivedi then served as Director of Adolescent Services at Bradley Hospital and as Assistant Professor of Psychiatry at Brown University. He completed his MBA at the University of Tennessee Haslam School of Business. 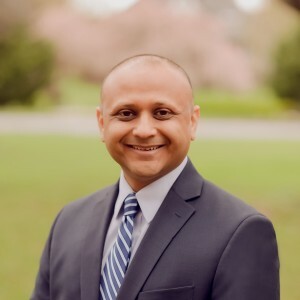 Dr. Trivedi currently chairs the Council on Healthcare Systems and Financing for the American Psychiatric Association, serves on the Executive Committee of the Maryland Hospital Association, and represents the field of psychiatry in the American Medical Association House of Delegates. A member of the National Association of Corporate Directors, he is active within the community and has served on a number of boards. He is married and has two sons.